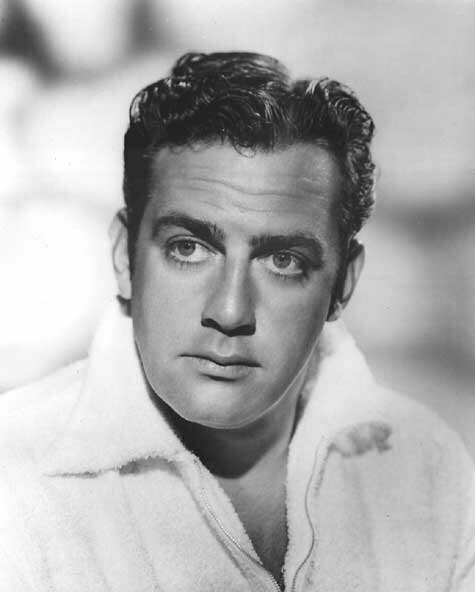 Raymond Burr was a handsome second-string actor who started his career in the late 1940s. He evolved into a movie villain (as in “Rear Window” ), and then a heroic TV actor (as in “Perry Mason,” and later “Ironside”). He was handsome and broad-shouldered, with a deep gruff voice. He gained weight in the 1950s and 1960s, but it gave him gravity. He was reputed to be very generous. IMDB reports the story that Errol Flynn told him that, if he died with ten dollars in his pocket, he wouldn’t have done his job. It inspired him to be philanthropic, and he always helped his friends. He died in 1992, and Benvenides was his sole heir, but Raymond’s family contested this. They failed, thank goodness. How times have changed! Look at George Takei! And Neil Patrick Harris! And Ellen de Generes! Partner and I have talked about marriage. Sadly, we’d end up paying more income tax married than we would as two “single” people. But our mutual employer, Brown University, regards us as Domestic Partners, so we enjoy some advantages that way. Also, we have not found any local institutions that discriminate against us. Lately (with all my health-related adventures) I simply introduce Partner to my doctors and nurses as “my life partner,” and he’s welcomed immediately. How easy we have it, and how difficult Raymond Burr and his partner Robert Benvenides had it, only twenty years ago. The world is moving in the right direction. I never thought I would live to see the joyous day of legal gay marriage. In my 20s it seemed an impossible dream. It really is amazing. I never thought I’d see it either. I agree with you that Raymond Burr is handsome. He has lovely eyes. I used to watch Perry Mason when I was small. When it ended, I had to go to bed and I was always a little bit frightened walking up the stairs afterwards. Now it reminds me of being at home with my mum and dad. My dad always liked to sit in his favourite chair and watch the programme, that was unless the dog got in there first! I look at him now and I’m amazed at how handsome he was. And I remember the show from my childhood. And they’re still showing – there’s a cable channel that shows it 12 hours a day. He was a very handsome man indeed. Raymond Burr could have been a top tier actor if not for his weight problem. But in all fairness Raymond Burr WAS Perry Mason. He was terrific at what he did, and he was very handsome and striking even after he gained weight. I loved Perry Mason as a kid. Now retired, I enjoy watching the reruns and have fallen in love with the series again. Raymond Burr was the perfect man to play Perry Mason. He was such a wonderful actor.